Write true stories that read like fiction. Write the unique stories that only you can write, and learn what your classmates think from feedback in a respectful and friendly manner. Learn how to create writing using the basic elements of fiction that draw us in and keep us until the final page. We will critique stories from Glenda's family history published in 1998. See what made these stories interesting and memorable. To register for this course, contact Glenda Beall, gcbmountaingirl@gmail.com or send check for $75.00 made to Glenda Beall, PO Box 843, Hayesville, NC 28904. Include the registration form on this blog. You may also pay online with PayPal. If we don't have a minimum of five students registered by May 28, the class will be cancelled. 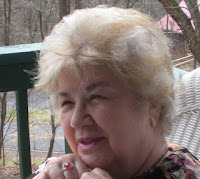 Glenda Beall is a published writer and poet whose work can be found in numerous journals, reviews and online magazines. She is a seasoned teacher of writing memoir, short stories, personal essays and poetry. Glenda has taught for the EAGLE program in Sautee, GA; the John C. Campbell Folk School, Brasstown, NC; Tri-County Community college, Murphy, NC and the Institute of Continuing Learning at Young Harris College, Young Harris, Georgia. She is the author of Profiles and Pedigrees, Thomas Charles Council and his Descendants, a family history with stories about her grandfather, her parents and her uncles and aunts who were born in the late 1800s. She is co-author of Paws, Claws, Hooves, Feathers and Fins, Family Pets and God's Other Creatures, published in 2018. Whether it’s an event (such as a family gathering), an object ( like a carefully-preserved cheerleader’s uniform from the Fifties), or something less tangible (a sound, a scent,) we’ll explore how a close examination of something specific can segue into a multi-faceted story. Vicki will provide some sensory prompts; attendees are invited to bring a prompt (object or memory) of their own. There’ll be writing, reading, and discussion. Vicki Lane has lived on a mountain farm in Madison County, NC since 1975. Her novels include Signs in the Blood and four other Elizabeth Goodweather Mysteries, The Day of Small Things, and the forthcoming (2020) Within My Memory Yet. 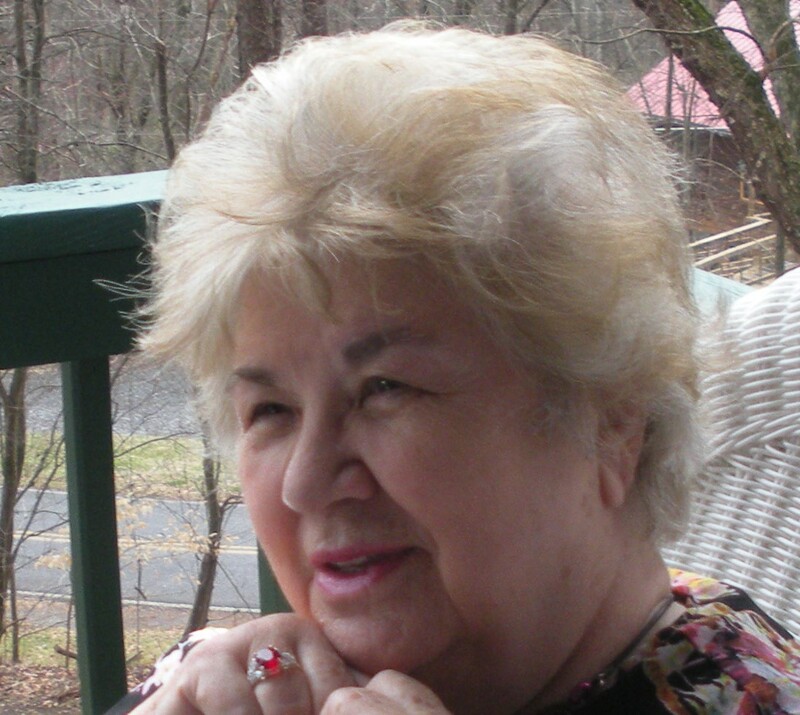 Her work has been praised for authentic dialogue, evocative detail, and rich, clear, intelligent writing capturing the essence of the Carolina mountains and their people. To register for this course, contact Glenda Beall, gcbmountaingirl@gmail.com or send check for $50.00 made to Glenda Beall, PO Box 843, Hayesville, NC 28904. SATURDAY, AUGUST 10, 1 - 4 p.m.
Catherine will see what kinds of sonic devices people are already using, and why (discussion). Then we will see which ones people might like to hear more about, and try out a few. Bring one or two poems in progress. 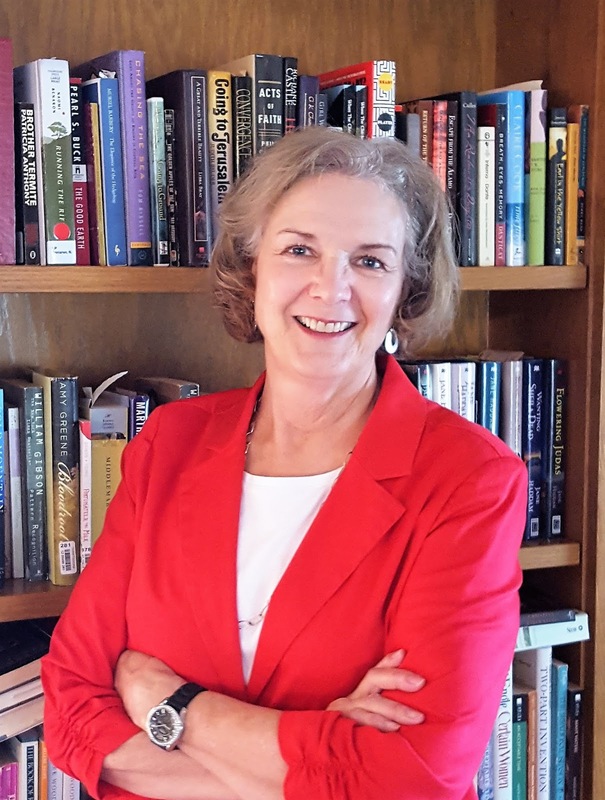 Born on the eastern shore of Maryland and raised there by wolves and vultures, Catherine Carter lives with her husband in Cullowhee, near Western Carolina University, where she teaches in the English Education and professional writing programs. 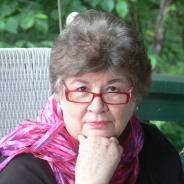 Her collections of poetry include The Swamp Monster at Home (LSU Press, 2012), The Memory of Gills (LSU, 2006), Marks of the Witch (Jacar Press, 2014), and Larvae of the Nearest Stars (forthcoming from LSU in fall 2019). In 2018, her poem “Womb-Room” won the James Applewhite Poetry Prize, judged by Amber Flora Thomas. Her work has also appeared in Best American Poetry 2009, Orion, Poetry, North Carolina Literary Review, Asheville Poetry Review, and Ploughshares, among others, garnering five Pushcart nominations, but, to date, no actual Pushcarts (always the bridesmaid). On a good day, she can roll a whitewater kayak and harvest honey from her bees; on a less-good day, she gets rock rash, multiple stings, and colony collapse disorder. Go beyond basic reporting in your writing to include the specific details that move the story forward. Sketch a vivid picture without bogging down the narrative. Avoid familiar and predictable description. This workshop will bring your writing alive and help you include concrete, sensory details that do double duty by revealing the mood in the room or the desire of a protagonist. Step-by-step writing exercises will direct you to look at new aspects of your character (real or fictional) and create images that support the story you set out to tell. Students are invited to submit up to five pages of prose work ahead of time for instructor feedback. Carol Childers Crawford’s latest essay, “The Boy Who Brought Bolero,” will appear in the spring 2018 edition of Assisijournal.org. She has also been published in the Southern Humanities Review, the Chattahoochee Review, and the Journal of Kentucky Studies among others. Her favorite thing to write is creative nonfiction. She is the owner of CarolCrawford Editing and author of The Habit of Mercy, Poems about Daughters and Mothers. Carol likes bookstores, snowy days, needlepoint, dogs, and cats on a case-by-case basis. 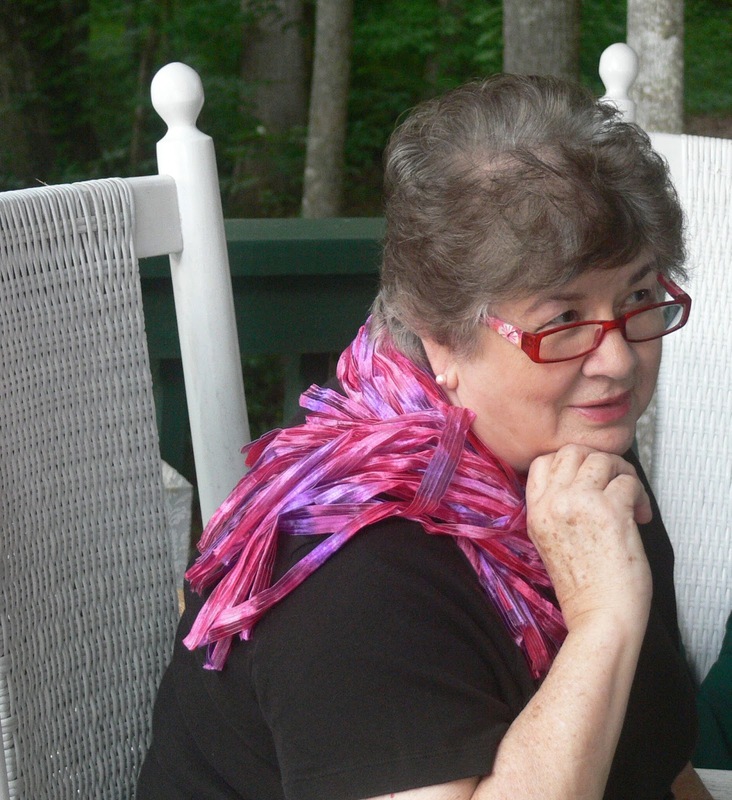 She teaches at the Blue Ridge Mountains Arts Association, Writers Circle, and the John C. Campbell Folk School. 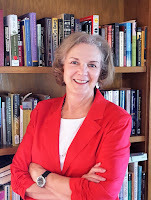 She has led workshops in Dahlonega, Carrollton, and Kennesaw Georgia. She is program director for the 20-year-old Blue Ridge Writers’ Conference. She and her husband live in the north Georgia mountains with two rescue mutts. Whether we write true stories or spin tales from our imagination, we want the stories to hold the attention of the reader from beginning to end. Learn how to create entertaining and enlightening writing using the basic elements of fiction that draw us in and keep us until the final page. We learn the importance of point of view, using present and past tense, how to write dialogue and draw paintings with words whether writing fiction, nonfiction, memoir or personal essay. Check your writing and see if you use “tags” correctly. Do you use too many adverbs? Get rid of them with active and descriptive verbs. Does prose have rhythm? Why do we write and what do we want to write about? What do we care about and what do we want to say? We hear helpful comments given in a caring and encouraging manner from students who also need feedback. Join us and tell your friends. We have limited room, so don't wait. Tuesdays, 2 - 5 p.m. Six weeks of classes in comfortable setting, casual and fun. Creative Writing for beginning writers and intermediate writers who want motivation and inspiration. We share our work and gain feedback from other students. Prompts are offered but no one is required to follow them. Students are asked to write a short piece each week and bring copies to share. Receive instruction in dialogue, content and copy editing, transitions and basic writing tips to make your work polished and ready for submission. Write fiction or personal essays (nonfiction). Write true stories about your life or write fictional stories based on your life. Write from your imagination. Create unforgettable characters. Learn what editors reject, what they read first, and learn what your classmates like and don't like so much about your stories from feedback in a respectful and friendly manner. Two hours each week for four weeks. We all have unique lives with stories no one else can tell. Learn how to write your true stories in a way that your readers will enjoy and be entertained as well as learn what makes your story special. Wednesdays, 3 - 5 p.m. Call 828-389-4441 for registration information or email glendabeall@msn.com - Write Classes in the subject line. This class will focus on different types of traditional poetic forms such as the sonnet, the villanelle, and the sestina, and will also include other verse forms such as erasures, found poems, prose poems, and last poems. His work has appeared in over 100 magazines and anthologies throughout the country. He has also been active as an editor for The Kentucky Review, Autumn House Press, and his own Yellow Pepper Press. He has been nominated for a Pushcart Prize and the Paterson Poetry Prize. Read a recent interview with Mike here. Friday night, April 13, 7:00 PM. Saturday, July 15, 2017 - 1 - 4 p.m.
What makes Tom’s work special, and what can you learn from him and his methods/beliefs about how to craft a good poem? In this workshop, we’ll look in depth at some of his poems, and we’ll apply his principles to our own work through writing prompts. You’ll leave with the start of a brand new, fabulous poem (or two) that sound like you, but maybe with a little pinch of Tom thrown in for good measure. Karen Paul Holmes is the author of the poetry collection, Untying the Knot (Aldrich Press, 2014), which tells a story of loss and healing “with grace, humor, self-awareness and without a dollop of self-pity,” according to Poet Thomas Lux. She was chosen for Best Emerging Poets 2015 (Stay Thirsty Media), and her poems appear in many journals and anthologies, including Prairie Schooner, Poetry East, Atlanta Review, Cortland Review, Poet Lore, and The Southern Poetry Anthology Vol 5: Georgia (Texas Review Press)). She has studied with Lux as well as other well-known poets, such as Dorianne Laux and Denise Duhamel. Saturday, August 5, 2017 - 1- 4 p.m. Authors keep in touch with their audience by sending newsletters, book tour updates, and special event info. Email marketing has grown more reliable as social media reach becomes unpredictable. When you have an audience who volunteers to hear from you, you need to nurture it. How can you increase open rates with crafty subject lines, prevent unsubscribes, and boost engagement? We'll review these topics, plus user-friendly email marketing services. Often the difference between a manuscript's acceptance for publication, or rejection, is decided by its organization. A poetry book needs to be organized, it has to begin with the first poem and move you on a journey through the last one. It can be organized by theme, imagery, emotional development and other ways. In this workshop we will explore how to identify the best way to organize your poems, and others, so that editors will give your book submissions a fair reading. In looking at organization, we will also look at revision strategies, and ways to identify themes. Information on submitting to literary publishers will also be discussed. Students should bring ten poems to the class. If you don't have 10 poems that's okay - there will be samples available. Richard Krawiec has published three books of poems, most recently Women Who Loved me Despite, Second Edition(Sable Books). His work appears in dozens of literary magazines, including New Orleans Review, Drunken Boat, Shenandoah, sou’wester, Dublin Review, Chautauqua Literary Journal, Spillway, North Dakota Quarterly, Blue Fifth Review, etc. He has been nominated for Pushcart Prize and Best of the Net multiple times. In addition to poetry, he has published 2 novels, Time Sharing and Faith in What?, a story collection, And Fools of God, and 4 plays. He has been awarded fellowships from the National Endowment for the Arts, the NC Arts Council(twice), and the Pennsylvania Council on the Arts. 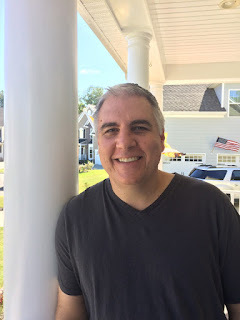 As founder of Jacar Press, a Community Active publishing company, www.jacarpress.com he publishes full-length collections, chapbooks, anthologies and an award-winning online magazine, One http://one.jacarpress.com/. A hands-on editor, he has worked to edit and organize chapbooks and collections by, among others, Kathryn Stripling Byer, Betty Adcock, Jaki Shelton Green, and Dorianne Laux and Joseph Millar. 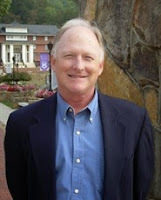 Richard will be reading at Writers' Night Out in Blairsville, GA on Friday night, 7:00 PM. Using Personal Experience to Explore an Idea: Vivian Gornick writes in The Situation and the Story that essayists and memoirists are interested in their own existence only as a means of “penetrating the situation at hand.” They are “truth speakers” and their delight is not in self-aggrandizement but in the illumination of an idea. We will study how nonfiction writers “penetrate the situation” to discover an idea worth living for and consider ways that we can do the same in our writing. Students will bring in an object or a photograph of an object that means a great deal to them. Preferably this is an object in which the meaning is not already obvious, so I would prefer that it not be a crucifix, for instance, or a wedding ring, but a different piece of jewelry—a watch for instance—or a favorite scarf , musical instrument, piece of furniture, or automobile. Any object—or picture of such an object—will do. We will explore the meaning of this object, learning various techniques from the writers we examine in class to amplify the idea. The goal is to have the thematic core of an essay or a memoir—one that can be the heart of a longer work. Students should bring the object or photo—a photo on a phone will do—as well as a laptop or pen and paper for writing. Steve Harvey is a professor emeritus of English and creative writing at Young Harris College, a member of the nonfiction faculty in the Ashland University MFA program in creative writing, and a senior editor for River Teeth magazine. 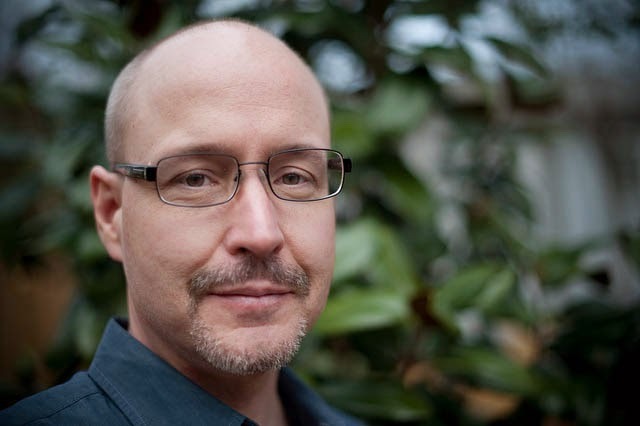 He is the creator of The Humble Essayist, a website designed to promote literary nonfiction. His most recent book is The Book of Knowledge and Wonder a memoir about coming to terms with the suicide of his mother when he was a child. He is also the author of three books of personal essays. A Geometry of Lilies, Lost in Translation, and Bound for Shady Grove and edited an anthology of essays written by men on middle age called In a Dark Wood. Classes will be held at the studio in Hayesville, NC. Call 828-389-4441 or Email for directions. Use life skills you already have to get your writing done. Any big project can be overwhelming, whether it’s putting in a garden or writing a book. Break down the project into manageable pieces that are not so scary, and make a step-by-step plan of action to keep you on course. In this workshop students will make a blueprint to begin a new project, create a worksheet for approaching it, and make a brief start on the writing itself. Learn habits and writing methods that will help you stand back and see your work more clearly. Discover how asking yourself the right questions about your manuscript will show you its strengths and the places it needs more work. Overcome common mistakes that blur your story line and muddy your language. Please bring three to five pages you have already written for revision. Carol Crawford is the editor and owner of carolcrawfordediting.com. 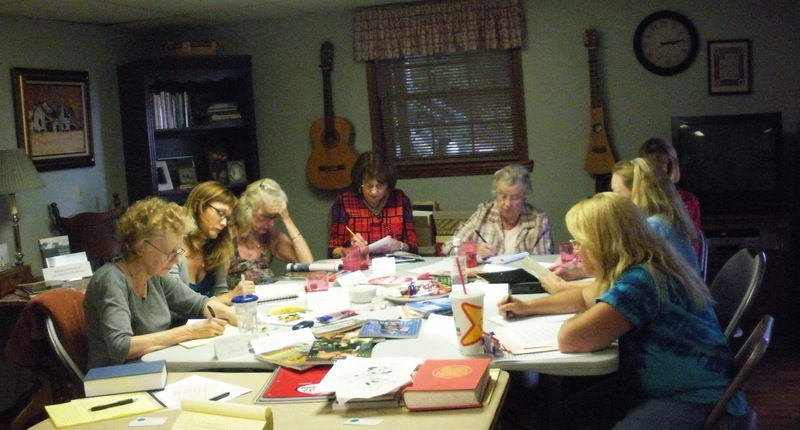 Carol has been teaching creative writing for two decades. 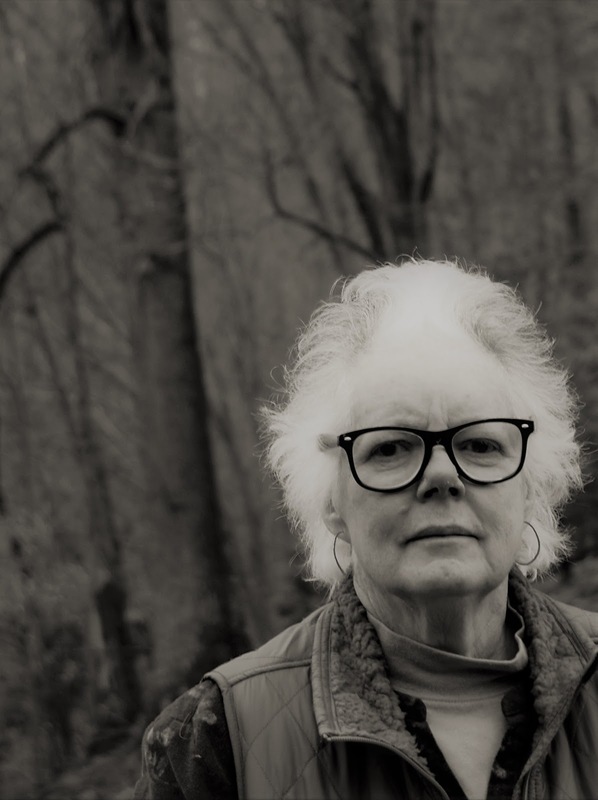 She is the author of The Habit of Mercy, Poems about Daughters and Mothers, and has been published in the Southern Humanities Review, Appalachian Heritage, the Concho River Review, the Chattahoochee Review, and the Journal of Kentucky Studies among others. 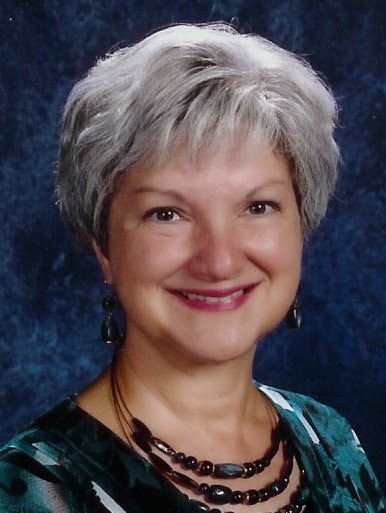 Carol has been program coordinator for the annual Blue Ridge Writers’ Conference since its inception in 1996 and holds a degree in journalism and English from Baylor University. She loves all things literary: books, bookstores, poetry, word puzzles and libraries, Also, Baylor women’s basketball, snowy days, Tex-Mex, knitting, civility in debate, single-mission charities, needlepoint, Star Trek movies (except the first one), family reunions, all dogs, and cats on a case-by-case basis. She has never mastered cake-baking, but can produce a respectable scratch pie crust. She has a strong conviction that margaritas are not margaritas unless they are lime (peach or pineapple do not qualify), and the only Peeps worth the name are Easter Peeps. She and her husband live in the north Georgia mountains with two rescue dogs of good heart but little brain. Carol is originally from Texas and visits it regularly for a fix of big sky, prairie and open spaces. How can authors consistently maintain a presence on popular social media sites? Learn if the demographics of your readers are on Facebook, Twitter, or other services, how to plan relevant social content based on analytics, and if automated services are right for you. We'll also break down the mystery of blogging and help writers make smart decisions about their online social presence. Tara Lynne knows her stuff and is happy to share her knowledge and skills with others. She's very talented and a great teacher! -Beth B.
Tara Lynne Groth (www.taralynnegroth.com) is a writer in North Carolina. Before writing full-time she was a marketing manager, and before that, a public relations director. She instructs classes on book marketing, author marketing, freelance writing, as well as creative writing workshops. As a blogger and content creator she also handles content marketing and manages social media for clients. As a journalist, her bylines have appeared in Blue Ridge Outdoors, Chapel Hill News, Draft, and dozens more. Tara Lynne received a scholarship in 2009 to attend the Southampton Writers Conference for fiction, her poetry has appeared in multiple journals and anthologies, she received honorable mention in fiction in the 2015 Carolina Woman Writing Contest, and was a semifinalist for the 2015 James Applewhite Poetry Prize. In 2014, her poetry was selected as part of a community art project in Winston-Salem and was used to inspire two sculptures. She has published three poetry books. She is also the founder and organizer of Triangle Writers and Asheville Writers, two groups with more than 1,000 members collectively. In 2011 she launched her blog WriteNaked.net, which has grown into a popular destination for individuals interested in making their living from writing. On the blog she breaks down misconceptions people have about freelance life, includes interviews with publishers, provides behind-the-scenes scoop on writers conferences, and has nearly 1,000 subscribers - and she pays guest bloggers. Bring a poem that was inspired by a favorite poem. Your poem should use a favorite line from the other poem as your title, as an epigraph, or as a line within your poem. Allow your poem to take on its own life -- it does not need to be about the same subject as the original. We’ll read the inspirational poems and workshop the one you wrote. You’ll also receive some prompts inspired by other great poets, so you can go home and write even more great poems of your own. Karen Paul Holmes of Atlanta and Hiawassee, Georgia has taught writing at national conferences and at the John C. Campbell Folk School. Her full-length poetry collection, Untying The Knot, was published by Kelsay Books (August 2014) and recently received an Elizabeth George Foundation grant for poetry. Publishing credits include Poetry East, Atlanta Review, POEM, The Sow’s Ear Poetry Review, and Southern Poetry Anthology Vol 5: Georgia (Texas Review Press). 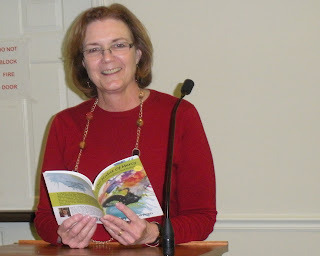 To support fellow writers, Holmes, a Georgia representative for North Carolina Writers' Network originated and hosts a critique group in Atlanta and Writers’ Night Out in Blairsville, GA. A former VP of Communication at ING, a global financial services company, she now leads “a kinder, gentler life” as a freelance writer, poet and teacher. Scott Owens September 12, 2015 10:00 a.m. - 1:00 p.m. The Stuff of Poetry: This workshop will focus on creativity, originality, and imagery, answering the questions, "Where do we find the stuff for poetry?" "How do we know what to include?" and "How do we make it good?" Participants should bring an object of "value" (something kept for years) with them, expect to generate several new ideas for writing, and expect to have their comfort zones challenged. 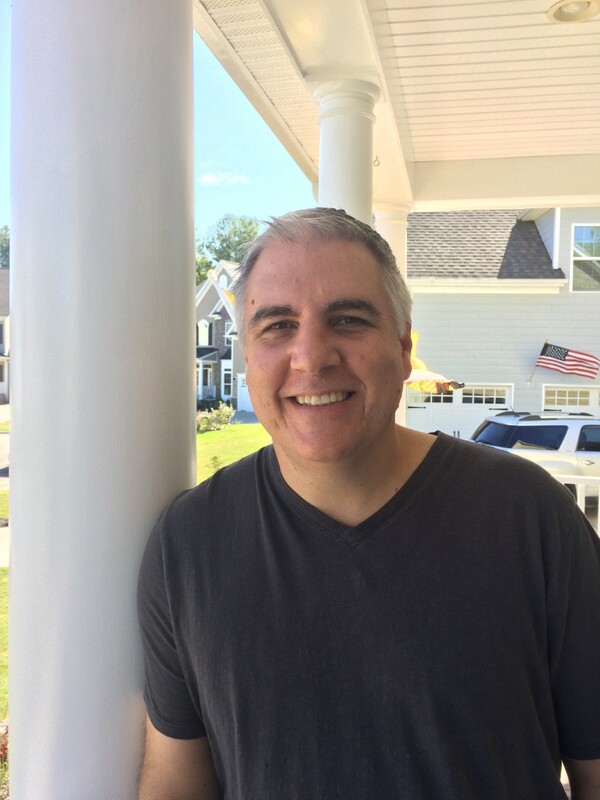 Scott Owens will read his poetry on Friday, 7:00 p.m. September 11, for Writers Night Out in Blairsville, GA.
Scott is originally from Greenwood, SC. He holds degrees from Ohio University, UNC Charlotte, and UNC Greensboro. He currently lives in Hickory, NC, where he teaches at Catawba Valley Community College, edits Wild Goose Poetry Review, owns and operates Taste Full Beans Coffeehouse and Gallery and serves as vice-president of the NC Poetry Society. 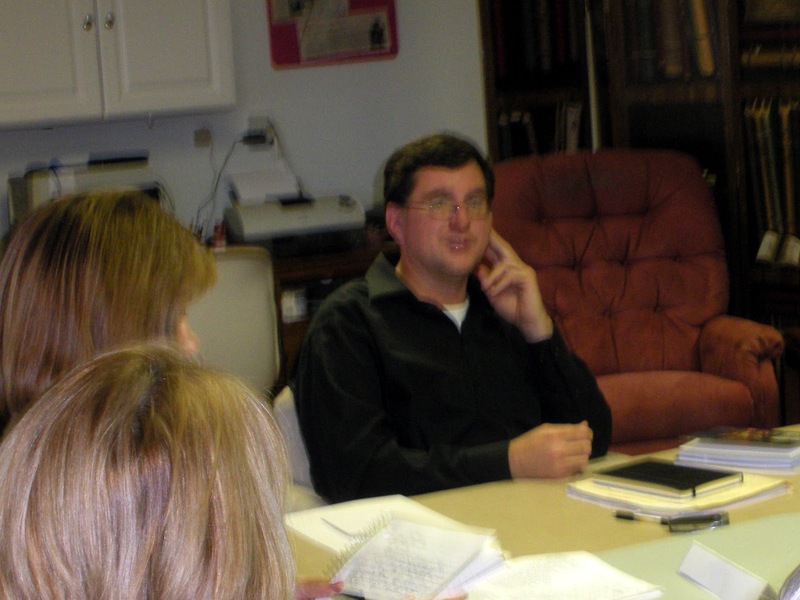 He is a Regional Representative of North Carolina Writers' Network, and Coordinator of Poetry Hickory. His 12th book of poetry, To, was released by Main Street Rag last year. 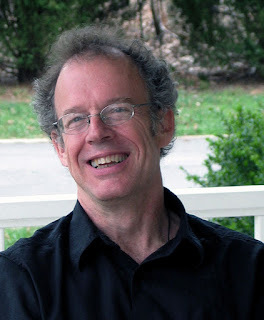 His work has received awards from the Academy of American Poets, the Pushcart Prize Anthology, the Next Generation/Indie Lit Awards, the NC Writers Network, the NC Poetry Society, and the Poetry Society of SC, and his articles about poetry have been featured in Poet’s Market twice. Recommended by Carol Crawford, co-director of the Blue Ridge Writers' Conference in Blue Ridge, GA: Tara Lynne provides nuggets of practical information that writers can use right away to build their platform and market their work. Her class is dense with information and ideas -- I couldn't take notes fast enough. She makes social networking less mysterious and talks about resources all writers should know about - but not all of us do. Promoting your book does not have to involve pushy sales tactics. There are opportunities for writers that help grow their names, earn money, and authentically connect with readers. This is done through a writer's platform--their influence and reputation among a public audience. A book is just one small part of a writer's platform. In this class we will explore different publishing services, basics of a writer’s platform and hear about ways to spread awareness of your writing without having to 'sell sell sell' your book. How to create and grow your platform online and offline. How Amazon and other eBook distribution services work. Costs and ways to fund publishing. Ways to build your professional name as a writer before publishing a book. How best to use your time and effort for your unique writing career. Ms. Groth's 10-week course on marketing fiction and freelance works may well be the best course I have ever taken on any topic. She held the interest of experienced and inexperienced authors alike...I am infinitely grateful to her." -Anita H.
I came away feeling like I had REAL information I could use. - Debe W.
The publishing talk was a rare opportunity. Tara Lynne is one of the best organizers I've ever known. -Bruce L.
JULY 25, 10 - 1 P.M.
Saturday, July 25, 10 - 1 p.m. Description: Just as a car enthusiast scavenges a junkyard for working parts, just as a songwriter scavenges the musical past for something brand-new, this workshop will focus on the art of salvaging your work--not rewriting per se but rebuilding. Bring your failed poem parts from the past, pieces or bits which may still have potential but need spark: stagnant stanzas, flat lines, dull images, etc. Using some examples and our own discussion and practice, we will jerry-rig and rebuild our poems (as Johnny Cash once sang) "one piece at a time." Michael Diebert is poetry editor for The Chattahoochee Review and teaches writing and literature atGeorgia Perimeter College in Atlanta. He is the author of Life Outside the Set, available from Sweatshoppe Publications through amazon.com. Recent poems have appeared and/or are forthcoming in The Comstock Review, jmww, and The Dead Mule School of Southern Literature. Memory coming to us as a strange concoction of thought and dream is the source of memoir, personal essays, and other forms of creative nonfiction. Some memories come unbidden, others emerge in the writing process, and some reluctant ones need to be teased out. What tools can the writer use to access these memories, even the shy ones, and see them vividly enough and in enough detail to use in a memoir or essay? In this class we will begin by looking at a range of techniques that can be used to access memories. Then, through a series of exercises, we will apply a number of these techniques to a single memory in order to enrich our experience of it. Finally, I will offer suggestions for ways to use these techniques in our writing to make our personal texts more powerful. Students should bring paper and a pen even if they plan to use a computer to write. The Book of Knowledge and Wonder was published by Ovenbird Books as part of the “Judith Kitchen Select” series. A section of the memoir appeared in The Best American Essays 2013 selected by Cheryl Strayed. He is also the author of three books of personal essays. A Geometry of Lilies, Lost in Translation, and Bound for Shady Grove and edited an anthology of essays written by men on middle age called In a Dark Wood. Steve is a professor emeritus of English and creative writing at Young Harris College, a member of the nonfiction faculty in the Ashland University MFA program in creative writing, and a senior editor for River Teeth magazine. He is the creator of The Humble Essayist, a website designed to promote literary nonfiction. He lives in the north Georgia mountains. You can learn more about Steve and his work at his web site: www.steven-harvey-author.com . Saturday, March 7, 2015, 10 - 12:00. This class is for all writers of prose, beginners and more experienced, who want to submit polished work for consideration by agents, editors and publishers. We all make errors in grammar, punctuation and word usage, but especially in writing dialogue. Where do we place quotation marks? When should we use quotation marks, ellipses, dashes, and how often should we use exclamation points? So many questions I hear from students and errors I see in the work of many writers will be addressed in this class. 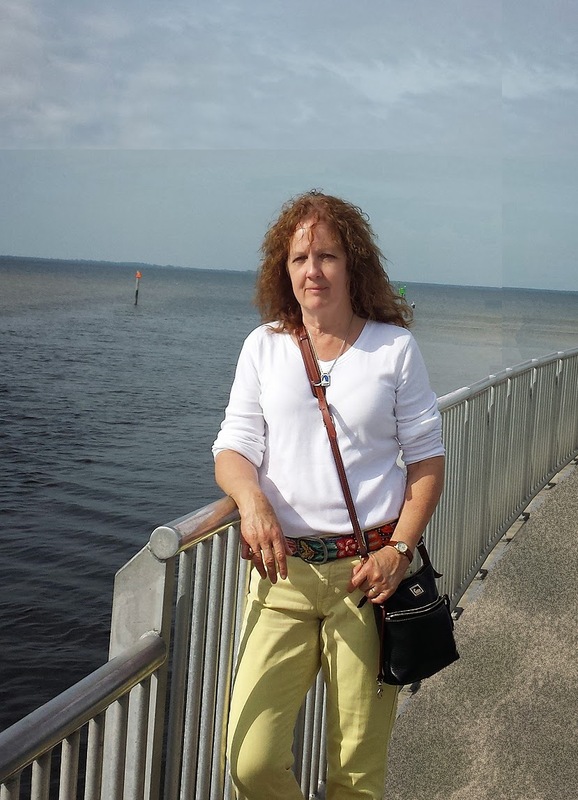 Paula Canup is a former middle school English teacher who has also worked as a tutor in English grammar. Later, as a high school history teacher, she assigned many papers, and her students knew they would be graded on spelling and grammar as well as content. 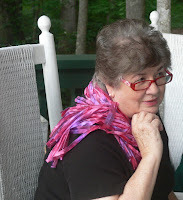 After retiring from teaching, Paula wrote articles for a regional magazine, Southern Distinction. She later wrote regular columns for two local newspapers, The Leader in Oconee County, GA, and, locally, The Sentinel. She worked for a year as a staff writer for the Clay County Progress. Samuel Coleridge once defined prose as "words in the best order", and poetry as "the best words in the best order." Whichever you're working on, prose or poetry, it all comes down to making the right word choices and putting them in an effective order. 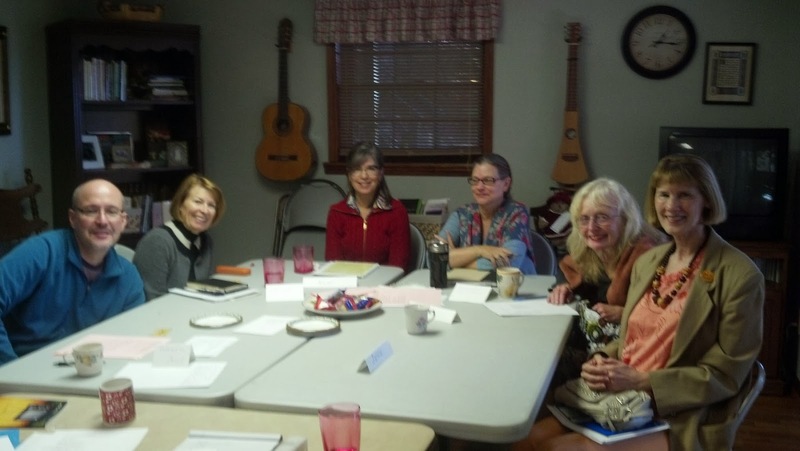 In this multi-level workshop for writers of prose or poetry, fiction or non-fiction, we will spend some time talking about how to make the wisest word choices we can, and then how to arrange those words in the best possible order. We'll preface and follow discussion with short writing prompts. Bring your questions, your problems and your ideas!